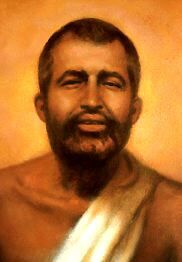 Sri Ramakrishna Paramahansa (shr r䴴mkrsh�n pr䴴mh�n�s�) (KEY) , 1836�86, Hindu mystic. He was born of a poor Brahman family in Bengal, and his given name was Gadadhar Chatterjee. In about 1855 he became a devotee of the goddess Kali and lived for the rest of his life at her temple in Dakshineswar outside Calcutta. During a 15-year period of intense spiritual practice he mastered all the types of Hindu Yoga and also had mystical experience through Christian and Islamic worship. He concluded that all religions are valid means of approaching God. 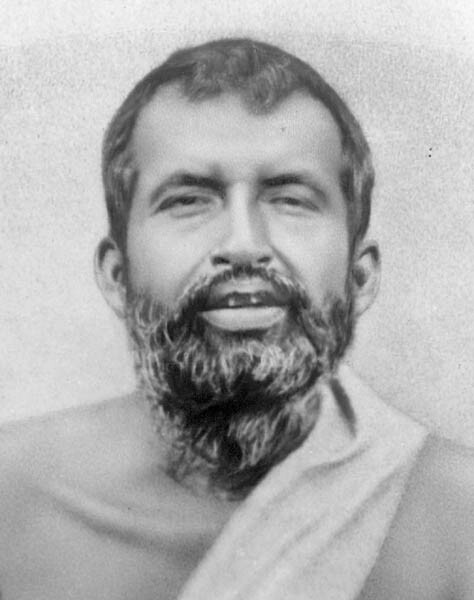 Ramakrishna had little formal learning, but his saintliness and wisdom attracted a large following. 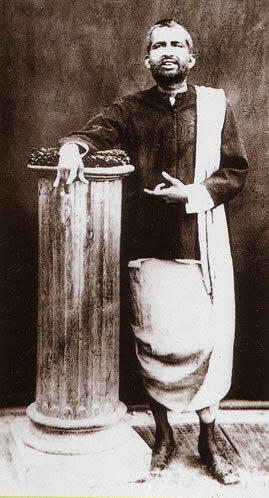 After his death his teachings were spread by his disciples and by his wife Sarada Devi. 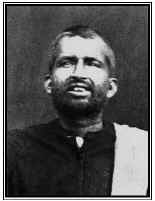 Ramakrishna�s message of universal religion was carried to the West by Swami Vivekananda. 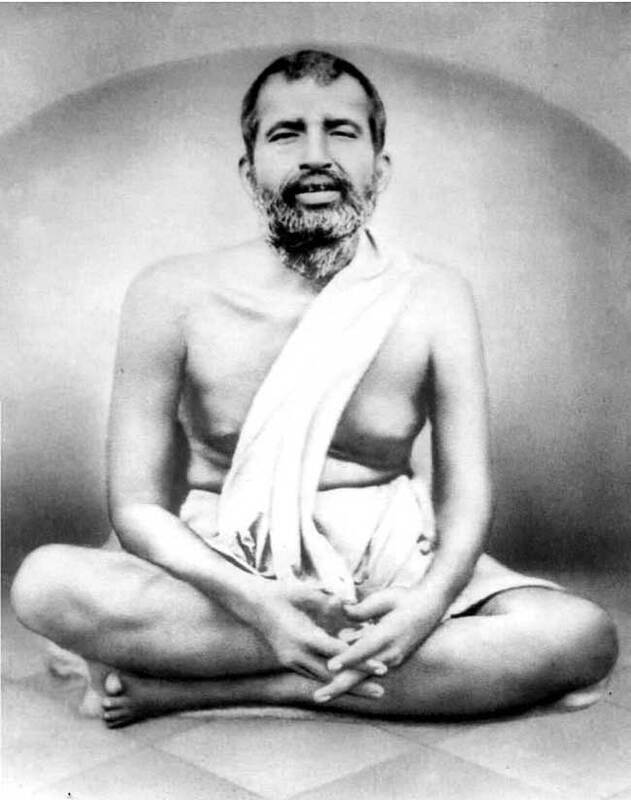 The Ramakrishna Mission, founded by Vivekananda, is represented by a large monastic order in India, devoted to both contemplation and social action, and by centers in major cities of Europe and the United States. 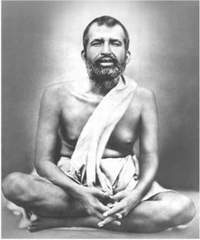 Ramakrishna�s sayings are contained in The Gospel of Sri Ramakrishna (tr. By Swami Nikhilananda, 1942). Source : The Columbia Encyclopedia, Sixth Edition. Copyright � 2003 Columbia University Press.